This is a free book that provides useful memory tips and tricks. It is 11 chapters and 41 pages long (so it's a quick read). Ideal for students and those who want to get ahead in their job. 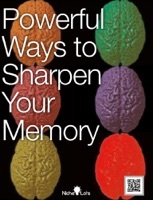 This book is a great starter before you explore the topic of memory training more in depth.